Attorney Nicholis S.J. Milardo has joined the Zuckerman Law Firm LLC as an Associate Attorney, concentrating his practice exclusively on criminal, DUI and traffic ticket defense. Attorney Milardo utilizes his prosecution and defense experience to effectively represent his clients in state courts throughout Western Pennsylvania. 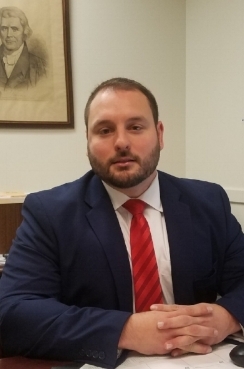 Attorney Milardo attended Lycoming College, where he was a member of the football team and obtained his Bachelor's Degree in Criminal Justice. He obtained his Juris Doctorate from the Duquesne University School of Law. While in law school, Attorney Milardo participated in the school's Criminal Prosecution Program, a training course designed for those interested in gaining practical criminal trial experience. During his first year of law school, Attorney Milardo served as a legal intern for the Blair County District Attorney's Office. Thereafter, he received the designation of being a Certified Legal Intern with the Allegheny County Public Defender's Office, as well as the Attorney General's Office, which permitted him to handle legal proceedings under the supervision of an attorney. Attorney Milardo began his career as an Assistant Public Defender with the Warren County Public Defender’s Office. In this capacity, he represented juvenile and adult defendants in summary trials, preliminary hearings, pre and post-trial motions hearings, plea negotiations and hearings, and conducted trial preparations. He is a member of the Allegheny County Bar Association and the Pennsylvania Association of Criminal Defense Lawyers and is licensed to practice law in the Commonwealth of Pennsylvania. Attorney Milardo can be reached at 412-689-7060 or by email at nicholis@zuckermanfirm.com.